Megan researches in the fields of law and emerging health technologies, such as biobanking, genomic medicine, and data regulation. She was previously Managing Editor of the Consumers and Communication Group at Cochrane at La Trobe University's Centre for Health Communication and Participation, working on systematic reviews of shared decision making, informed consent, health communication and consumer participation. She has also worked in law publishing at the Office of the Chief Parliamentary Counsel (Victoria). She has published a number of peer-reviewed papers and book chapters in the fields of public interest law as well as patient engagement, health communication and informed decision making. 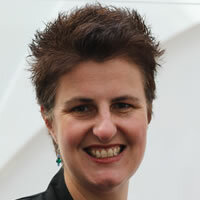 Megan holds a PhD in the humanities (University of Melbourne, 2000) and a first-class honours degree in law (La Trobe University, 2014), for which she was awarded the Supreme Court Prize. In 2017, Megan was admitted to practice as a lawyer in the Supreme Court of Victoria.